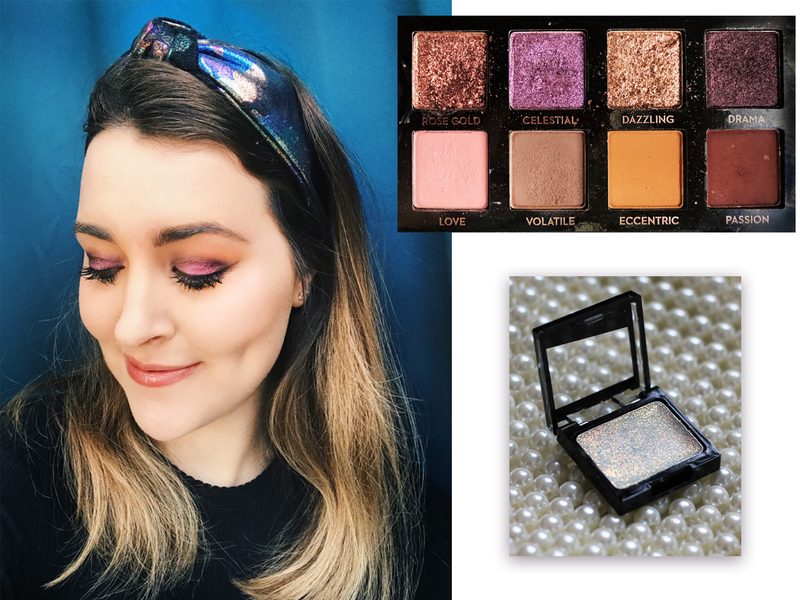 The Pantone colour of the year is purple/ultraviolet and looking at the beauty releases from the last 11 months it would seem that the industry is jumping onto that trend. Pantone say "Ultra Violet communicates originality, ingenuity, and visionary thinking that points us toward the future." So here are some of the purple inspired pieces I've picked up and have been testing lately. Tricky to photograph but the Lip Injection Extreme from Too Faced has an purple iridescent sheen running through it, however when it's on the lips it's hardly noticeable. This has quite a strong sensation but you can definitely feel it working on your lips, it creates a hot tingling feel. The results aren't dramatic but both my boyfriend and sister said they could see a difference. The fragrance from Elizabeth and James isn't purple but it carries a rich and luxurious scent that I associate with the colour, plus one of it's notes is Violet! I make sure that whenever I visit the states I pick up one of these rollerballs from Sephora. They're so handy to have in your handbag plus this scent is stunning. It reminds me a little bit of the smell in the Disneyland hotels! Described as "a bold, addictive blend of violet, sensual sandalwood and rich vanilla strike the match on finding the perfect balance between masculine and feminine." I'm having a bit of a Smashbox moment and this Prysm palette had to make it into my collection. The packaging on this range (there's currently 11 palettes) is incredible, it was hard to photograph but it's been created with lenticular printing. Such an original idea to all of the hundreds of palettes that are out there. The shades are really unique with two gorgeous iridescent glitters, I'm really excited to start using this all the time around the festive period. Plus Smashbox are a cruelty free brand and this collection is really affordable at only £26. I've been testing out the Norvina palette since it's release back in July to see how much wear I'd get out of it once the hype had died down. My final thoughts are that the shades apply really nicely and blend out well. In the look above I used the shades Soul (not shown), Celestial, Drama and Passion. To get the best results with Celestial I applied with my finger and used Wet 'n' Wild Bleached underneath, to add some sparkle and a good base. I kept on patting the colour with my finger until I was happy. 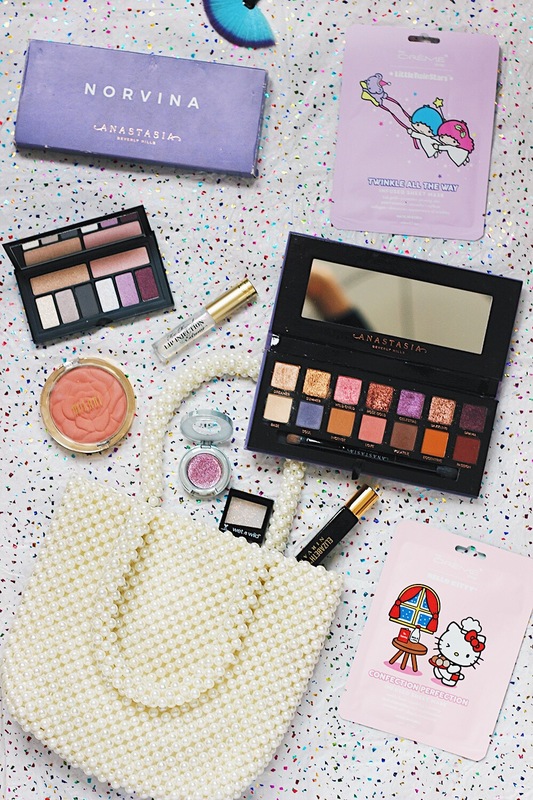 Although the palette is themed around purple, the shades are equally pink and warmer tones. I actually prefer this quite a lot more to their hero product, Modern Renaissance the colours suit me more and I think the shades are more wearable. 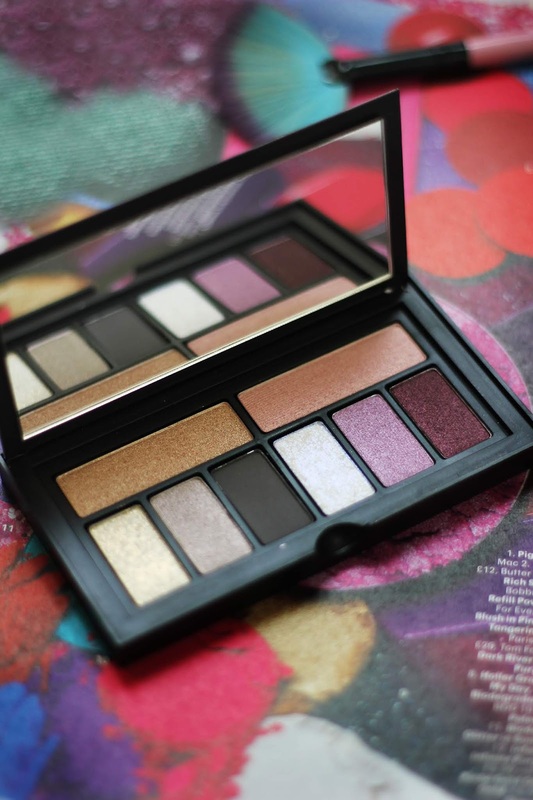 Howerver f you're looking for a more cool toned purple palette I'd recommend the Smashbox Prism eye Palette collection, plus it's half the price! Other products used in this look: Too Faced lip injection extreme gloss, Milani blush in Tea Rose, Kat Von D liner in trooper, Smashbox Superfan Mascara, Bourjois Healthy Mix Foundation and a touch of Urban Decay's shadow in the shade Glitter Rock.